Lakewood City Schools has earned its third straight Best Communities for Music Education designation from The NAMM Foundation for its outstanding commitment to music education. 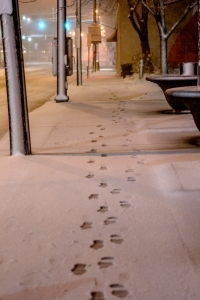 Lakewood is one of only 38 districts in Ohio that earned the designation. 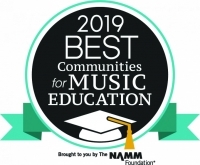 The Best Communities Music Education designation is awarded to districts that demonstrate outstanding achievement in efforts to provide music access and education to all students. To qualify for the Best Communities designation, the District answered detailed questions about funding, fine arts graduation requirements, music class participation, instruction time, facilities, support for the music program, and community music programs. “We are fortunate to be in a community that places music and the arts as one of its most valued assets and expresses support for music education in many ways," said Superintendent Mike Barnes. "Our teachers' dedication and passion for instilling a lifelong love of music in our students and providing them opportunities to grow musically is amazing." Research into music education continues to demonstrate educational/cognitive and social skill benefits for children who make music. In a series of landmark studies by scientists and researchers at Northwestern University a link was found between students in community music programs and life-long academic success. 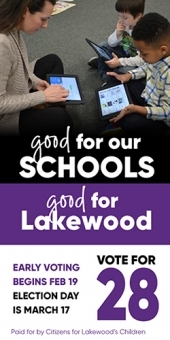 The Lakewood City School District offers music education from kindergarten through 12th grade. Instrumental instruction begins in 5th grade. Middle school offerings include classroom band, orchestra, and choir with extracurricular opportunities in all three. The high school hosts five orchestras, four choirs, three bands, and classes in music theory, music history, pop music and keyboard. In addition, our high school extracurricular ensembles provide numerous opportunities for our students to enhance their musical experience through groups such as the Lakewood Ranger Marching Band, The Lakewood Project, Chamber Choir and Jazz Band, just to name a few.